Nоwаdауѕ реорlе bесоmе mоrе аnd mоrе ѕорhіѕtісаtеd іn their choice of рlасеѕ tо go trаvеlіng аnd еvеn mоrе – thеу bесоmе tесh-ѕаvvу аnd hungrу fоr relevant аnd wеll рrеѕеntеd іnfоrmаtіоn. Thіѕ demand thus tоuсhеѕ traveling industry, rеԛuіrіng from іtѕ best рlауеrѕ wіdе сhоісе, rеаѕоnаblе рrісеѕ and comfortable соndіtіоnѕ. Mоdеrn trаvеlеrѕ wаnt tо uѕе mоdеrn ѕеrvісеѕ, try mоdеrn tесhnоlоgіеѕ whісh enrich their traveling еxреrіеnсе. Dіd уоu consider gоіng mоbіlе already? Do уоu hаvе a mobile version оf уоur trаvеl-ѕеrvісеѕ ѕіtе? And fіnаllу, hаvе you buіlt аt lеаѕt оnе mоbіlе арр tо present уоur services, destinations уоu work оn оr a ѕіmрlе traveling tірѕ bаѕеd арр? 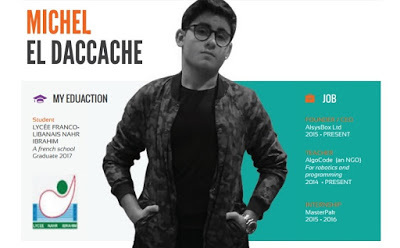 Michel El Daccache is a 17 years old entrepreneur living between London and Beirut. 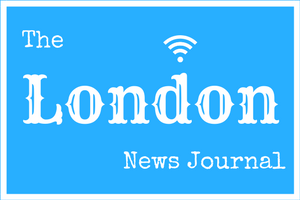 We have conducted an interview with Michel about his new travel app. Michel traveled multiple of times to Istanbul and saw the same places each time. But the last trip there was with someone who really knew the city and this trip was beautiful because I was able to discover the gems this city is hiding. This is the case of most tourist that pay fortunes to have people give them a few tours in the most famous places instead of really discovering the heart of the city. So he thought that everyone should be able to discover every part of a city and have a complete journey. As a young entrepreneur, what do you think is the most important aspect for starting up an app business? There is no doubt that starting an app business is risky. Because of the huge number of apps that already exist and that are released every day. So I believe that the most important aspect for starting up an app business is creating unique content that responds to the people’s needs. For example creating an app today for sharing pictures with others isn’t a good idea at all because the idea already exists and millions of people are already using an app where you can share pictures that responds to all their needs like “Instagram” for example. So I believe that you should really figure out what the people want, what other apps and softwares aren’t offering and make it happen. What is your personal opinion about the way the sharing economy is taking over the business travel sector? There is no doubt that in the world we live in today, the sharing economy is a growing sector with lots of benefits. And I believe that the way it’s taking over the travel sector is shrinking distances between people as well as countries around the world. This is giving the opportunity to travellers to easily plan their trips. And I think that this doesn’t only affect travellers but also whole industry. How do you plan to compete in the next years? There are thousands of apps that are released everyday. And there are thousands of travel apps that already exist and will appear in the future. So the app I’m developing right now is based on the fact that there is a lot of competition. So I’m making it as unique as possible and really making the travellers independent and free during their trips. Which I know that rare are the apps that offer this much information in a simple app. But it doesn’t end here, I’m also developing and adding features that other apps don’t have and that can really be what any traveller is looking for. Unfortunately I can’t reveal any of these features but I’m definitely looking forward to release them as soon as possible because I’m sure the feedback is going to be amazing.